2011 was the first and last time (until now!) that Frank Turner & The Sleeping Souls stopped by at Greenfield Festival. The year was significant for the international breakthrough with the terrific album “England Keep My Bones”. 2018 the folk punk poet and his band take more considerably stand in their songs than ever before. The title of the new album, “Be More Kind”, already suggests what we’re dealing with here. 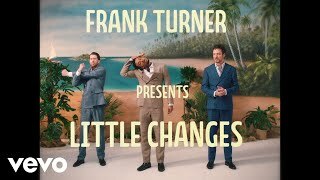 Frank Turner is wishing for more kindness and solidarity in our everyday lives, is hoping for sociopolitical changes and always stands clearly against racism and sexism.